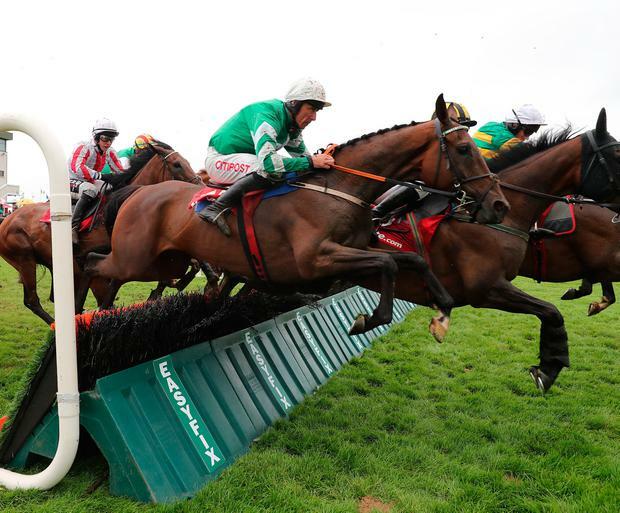 Pat Kelly will make the journey to Sligo today for their jump meeting and has a couple of solid chances of winners. Speirling (6.10) looks an obvious choice in the Carlsberg Maiden Hurdle. The five-year-old has had two goes in maiden company - the most recent at big odds at the Galway Festival earlier in the month. This looks an easier assignment than those and, on his best form, he should be hard to beat here. Kelly and Davy Russell could combine for a double on the card with Dawn Raider (7.10) getting the nod over Pass The Ball in the Rockshore Lager Handicap Hurdle. Pass The Ball is on a four-timer for Niall Madden but Dawn Raider shaped well when dropped in at Galway and just failed to catch the leading group. The runner-up from that day, Mill Quest, has won twice and the form of that race suggests that Dawn Raider is capable of making his mark in these sort of races. Herald columnist Robbie Power returns to action after his shoulder lay off and could bag a bit of a surprise winner aboard Internal Transfer (7.40) for Eric McNamara. The selection was a winner on his penultimate start back in April and would probably appreciate some rain but gets the nod here despite showing little last time as this looks an easier contest now. Willie Mullins looks capable of a first and last race double with Eglantine Du Seuil (5.10) and Poker D'ainay (8.10) while recent winners Like A Diamond (5.40) and Ashjan (6.40) are both likely to score again.